Poplar Healthcare » F. David Osborn, M.D. 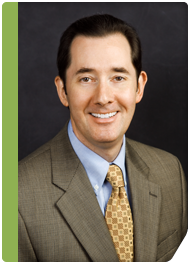 Dr. Osborn received his medical education at the University of Tennessee, Memphis, graduating in 1992. Upon completion of his residency training in 1997, he joined the University of Tennessee Department of Pathology as instructor and surgical pathology fellow. In 2000, Dr. Osborn became assistant professor and director of the residency program in Anatomic and Clinical Pathology. He left the university in 2002 and began a one-year fellowship in gastrointestinal pathology at GI Pathology. Dr. Osborn joined the group as associate pathologist in 2003, and served as co-director of the fellowship program from 2003-2006. Dr. Osborn has over seven years of experience and expertise in gastrointestinal pathology and is a member of the USCAP, ASCP and CAP.